Read the FAQs below; they may contain the answer you need. If not, contact the Film Office. Q. What is the first step to filming in Westchester? How do I find out if the project I want to do is possible? A. Complete the online Letter of Intent, providing as many details as you currently have. We&apos;ll review it with the location in which you are interested and reply to you as quickly as possible. Q. Where is the Westchester film office located; what are the hours and contacts? A. Westchester County Film is located at 148 Martine Avenue, Suite 104 in White Plains. Office hours are Monday - Friday, 9 a.m. to 5 p.m. Our primary contact is Barry Surman. You may contact him by e-mail at bsurman@visitwestchesterny.com or by phone at (914) 995-8501. Q. How much time is needed to get approval for filming? A. Once we receive your letter of intent, approve and confirm approval of your filming and receive your proof of proper insurance, a location agreement/permit will be prepared and sent to you within 48 hours. We require the signed notarized agreement, proof of proper insurance and full payment before filming can commence. Q. Do I need a permit from Westchester County if my location is not county-owned? How do I find contacts and information for filming in Westchester municipalities? A. You do not need a county permit for non-county properties, but we are here to help you find your perfect location. We do appreciate being advised when and where you are planning to film – we like to know what&apos;s being filmed in Westchester. Each municipality has rules and regulations for filming and many do have a permit process. Read our Guide to Municipal Filming for further information. 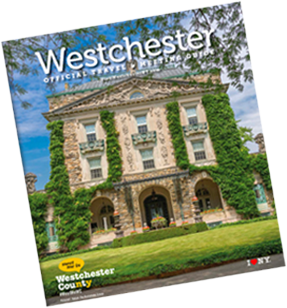 Q. What&apos;s the best way to find a specific location if I am unfamiliar with Westchester County? A. When you submit your Letter of Intent, attach a photograph, storyboard or sketch, and we will do our best to find and recommend a location for you. Q. May I film at Westchester County Airport? A. Filming is permitted on a limited basis and must be done during off hours, specifically after 11 p.m. on weekdays. Other arrangements can be made, often with private operators at the airport, so be sure to give as many details as possible in your Letter of Intent. Q. Are there standard location fees for filming in Westchester? A. No, each fee is determined based on the scope of the project and the budget. Q. Is it possible to film a student project in Westchester County? A. Yes, it is, and we welcome student filming. Simply complete the online Letter of Intent. Q. How do I get approval to take pictures of my wedding or other personal photographs at a county-owned park? A. Call (914) 231-4575, and they will provide information for getting a permit. Q. May I film in a county nature center or preserve? A. No, filming is not permitted in these areas.